Season 6 finale. . HD Wallpaper and background images in the The Walking Dead club tagged: photo glenn michonne abraham season 6 finale negan jeffrey dean morgan the walking dead. 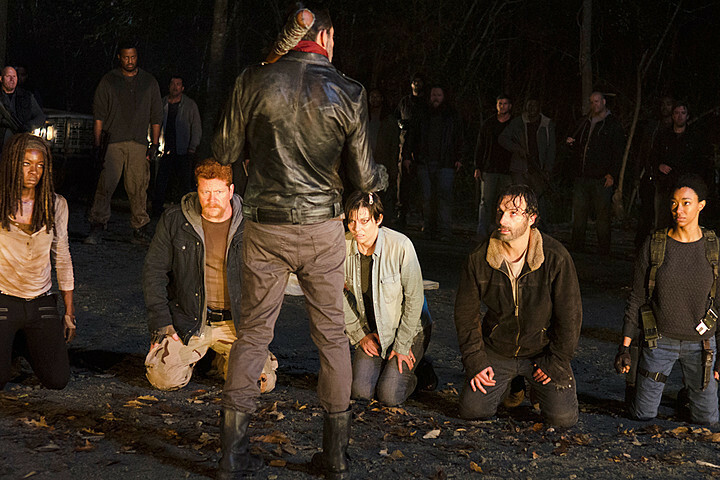 This The Walking Dead photo contains pak. There might also be goed gekleed persoon, pak, broek pak, broekpak, kostuum broek, box coat, vak jas, hip boot, and thigh boot.